Solar activity is low, and the strongest C-class flare reported in the last 24 hours was the C3.6 flare (peaked at 09:11 UT). The flare originated from the active region behind the east solar limb (at about S20). 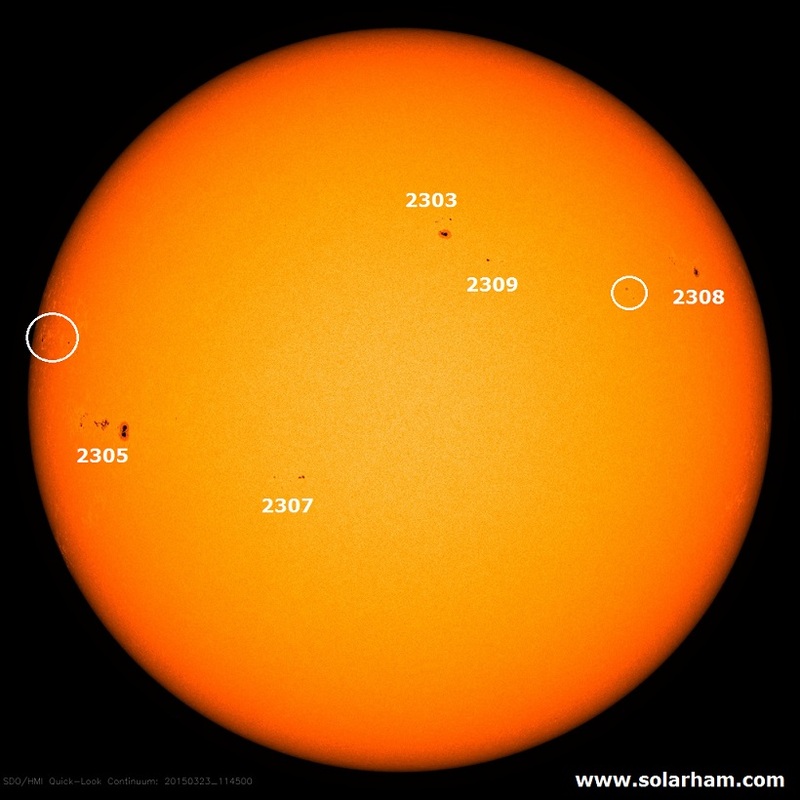 Out of six currently numbered sunspot groups visible on the solar disc, NOAA AR 2305 is the only one with the complex configuration of the photospheric magnetic field (beta-gamma). Therefore, this active region is the most probably source of the flaring activity in the following 24 hours. We expect C-class flares and, possibly but not very probably, also an isolated M-class flare. No Earth directed CMEs were observed during last 24 hours. The Earth is currently inside a fast solar wind with the speed of about 620 km/s. The interplanetary magnetic field, which was elevated due to the possible arrival of the interplanetary coronal mass ejection late on March 21, is slowly decreasing during last 24 hours and its current value is about 8 nT. Due to the short intervals of negative value of the Bz component of the interplanetary magnetic field (up to about -8 nT) active geomagnetic conditions were reported this morning (Dourbes reported K=4, and NOAA reported Kp=5). We expect unsettled to active geomagnetic conditions in the coming hours.